Upgrade your facility with custom-built cabinets from a professional cabinetmaker in Austin, TX. 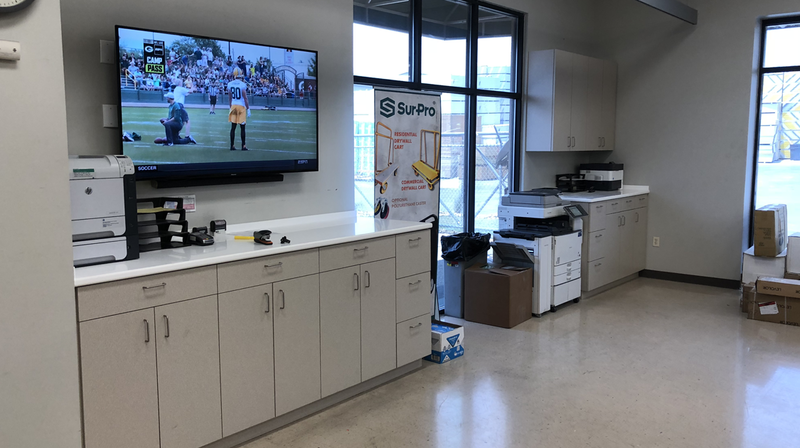 At Commercial Cabinets of Austin, we specialize in designing, building, and installing plastic laminate office cabinets for commercial clients. 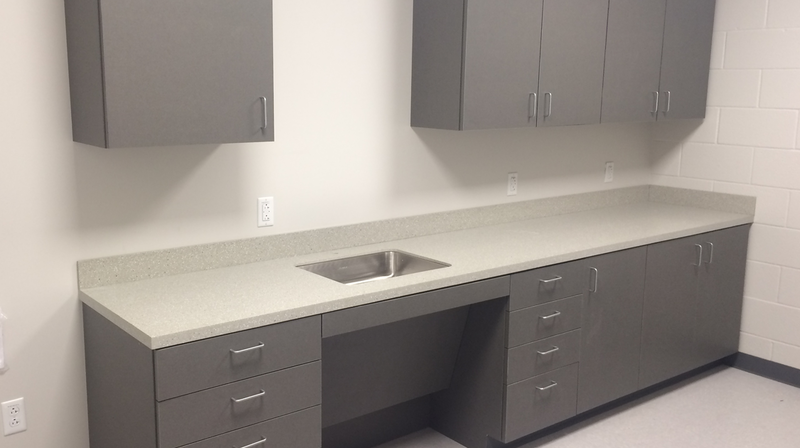 Our services are ideal for medical, dental, and veterinary offices in the Austin area — but our cabinets are also great for residential homes, schools, and businesses of all kinds. Call us to book a design consultation or email us with a set of plans for a quote! Contact us to request a quote on custom cabinetry for your home or business. Commercial Cabinets of Austin is a small business based in Round Rock, Texas, in the Greater Austin Area. We have been in business for more than 20 years and have installed high-quality cabinets for countless clients throughout the region. Using state-of-the-art machinery and carefully chosen materials, we deliver unparalleled value and quality. Our owner has been a cabinetmaker since 1977, and his love of construction dates back to high school math class. He always had a knack for geometry and enjoyed working with his hands, so cabinetmaking was a natural career choice. He and his team are meticulous and efficient in everything they do, and they work hard to deliver exceptional results every time. You'll be glad you chose Commercial Cabinets of Austin.